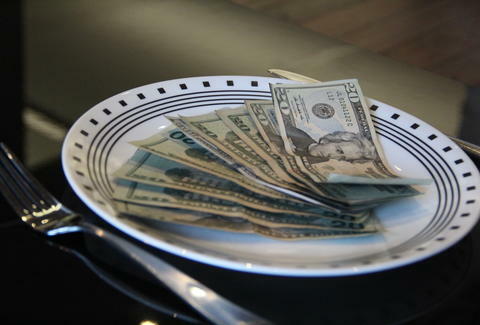 The researchers at Cornell University have found that people who paid $8 for an all-you-can-eat buffet experienced more satisfaction with their meal, than people who ate at the same food for $4. They did this by camping out at an Italian food buffet and charging customers either $4 or $8, before asking them to rate the food and restaurant. Not once did they question why they'd choose to eat at an Italian food buffet. This study seems to prove that the more you pay for food, the more you enjoy it -- so book a trip to Chicago and get that $100 grilled cheese. It'll be the best meal of your life. Lee Breslouer writes about food and drink for Thrillist and has never been to an Italian food buffet. Follow him at @LeeBreslouer, because you can't make up a name that good.